We are proud to present Extensus merchandise! We put a poll on Facebook and Instagram a couple months ago and you said you are interested in Extensus merchandise. So, we listened! We have not one but two options for you. Do you like a sweater with a hood and pockets? 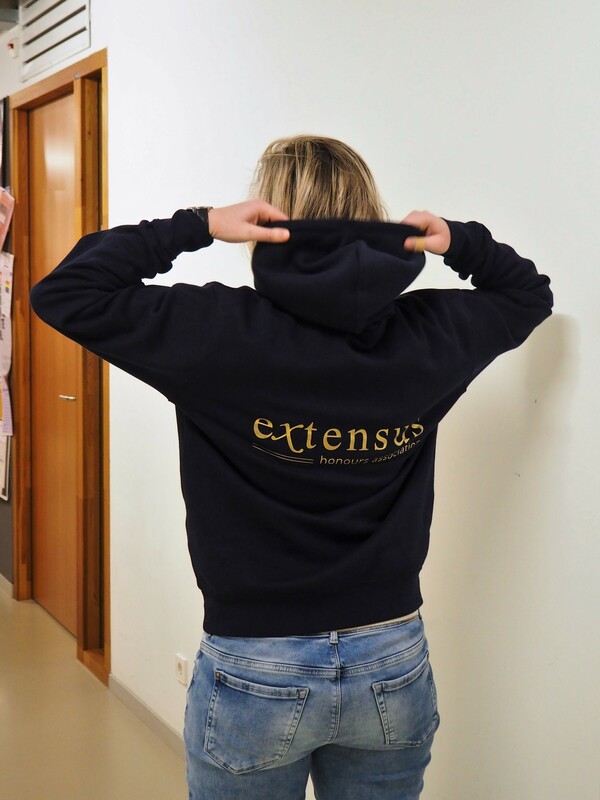 Our Extensus hoodie is for you! Do you prefer a cleaner look? 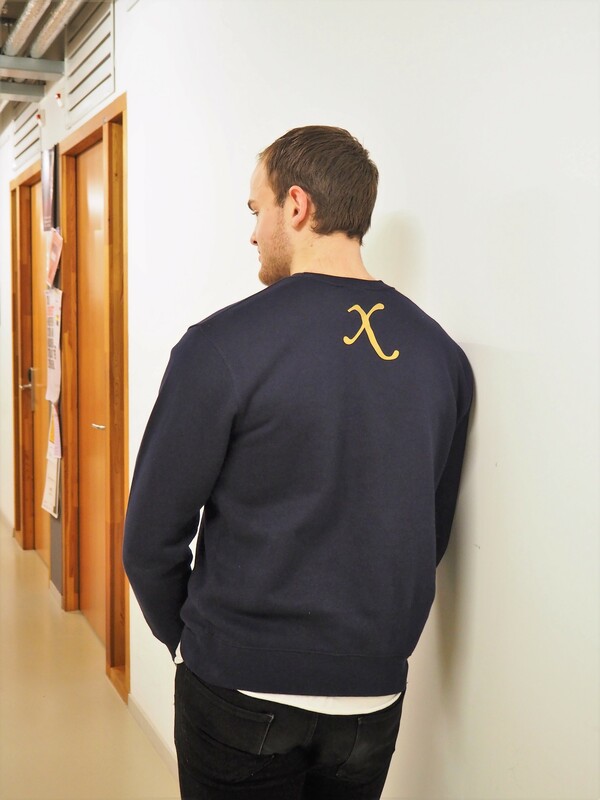 Then our Extensus crewneck is for you! 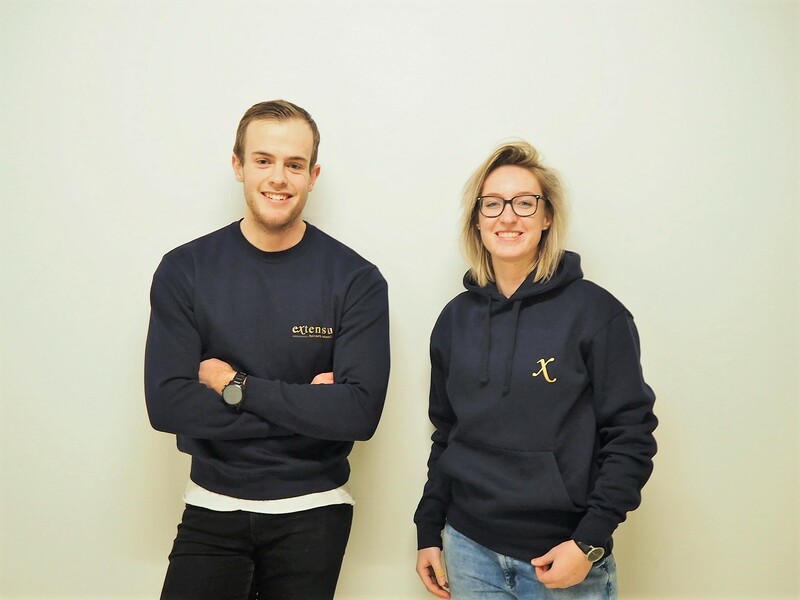 Take a look at the images below of our board members, Tom and Daphne, wearing Extensus merchandise. Both sweaters are navy and the logos are in gold. Daphne is wearing the hoodie and Tom is wearing the crewneck sweater. Get your own and show you are a proud member of Extensus! Tom and Daphne are both wearing a size M. Keep in mind that the sweaters are on the larger side. The sweater fits both men and women. The sweaters cost €25 each. It is no longer possible to order merchandise. If you have ordered merchandise, we will keep you updated on your order and contact you when it is ready.